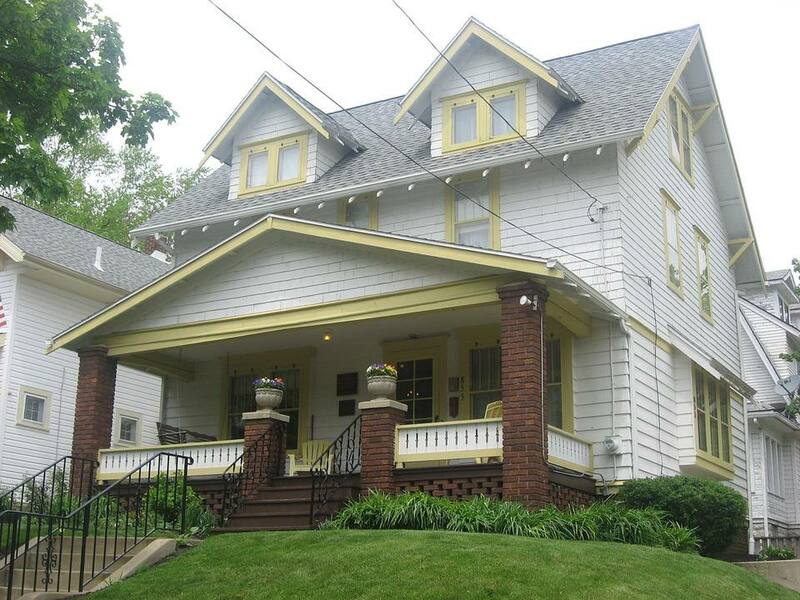 Dr. Bob's Home, in Akron Ohio, is where Alcoholics Anonymous (AA) started in 1935. The purpose of AA is to help alcoholics gain and retain sobriety by sharing experiences, problems and hopes with one another. Dr. Bob and Bill W. worked with alcoholics one at a time to help them achieve sobriety in Dr. Bob's Home. Today the house is completely restored and welcomes visitors free of charge. “Welcome Home” is how you will be greeted as you walk through the doors of Dr. Bob's Home. This greeting is the ongoing mission of Dr. Bob's Home to help alcoholics feel accepted in the home where early members of AA achieved and maintained their sobriety. The majority of people that walk through the doors of this home are participants in the AA program and about a third of people break down and cry at the greeting. It is a sort of homage to go to the place where their source of help originated. Dr. Robert Smith and his wife Ann joined the Oxford Group where they talked about their prayer needs. Dr. Bob confessed that he was a silent drinker; he couldn't stop and asked for prayers. Henrietta Seiberling was in that religious group as well and committed to pray for him. A friend, Bill W, came into town for a business venture that fell through, wanted to get drunk, and asked Henrietta if there was another drunk that he could talk to. His theory was that only another drunk could understand what he was going through and would help him maintain his sobriety. Ms. Seiberling got Dr. Bob and Bill together for a six-hour meeting at the gatehouse of Stan Hywet Hall, where they talked about the problems that they went through as a drunk. That meeting in 1935 led to Alcoholics Anonymous. Alcoholics Anonymous is a program that allows men and women to share their experiences, problems, and hopes with one another in order to help each other recover from alcoholism. The same philosophy that Dr. Bob and Bill W. used to help themselves in the beginning still works today. Their goal is to stay sober and to help other alcoholics achieve sobriety. Dr. Bob's home itself is a modest home that cost Dr. Bob $4,000 in 1916. It was bought for $38,000 in 1984 and restored to its original condition for another $100,000. The son and daughter of Dr. Bob personally redesigned the home to look as they remembered from their childhood. Much furniture is original, passed on from the children. The table in the living room is the original table on which the manuscript for AA was written. Dr. Bob's Home is where it all began -- where Dr. Bob and Bill W. helped alcoholics one person at a time, one day at a time. More than 300 alcoholics sobered up and received treatment from Dr. Bob and Bill W. in Dr. Bob's Home. Visitors can walk through the very rooms in which those early AA members stayed. You can also watch a half-hour video on how Alcoholics Anonymous was started and browse through the photo archives of people that have been helped by the program. Tours are free and offered daily to the public; group tours are available by reservation. Founder's Day is at the beginning of June each year. Held at Akron University and Stan Hywet Hall, this three-day event brings out more than 7,000 people who have struggled or know someone who has struggled with alcoholism. The event includes 12-Step Meetings 24 hours a day, daily sessions where alcoholics can share their stories, dance parties, tours of Dr. Bob's Home, workshops, plays, bands and a motorcycle motorcade to Dr. Bob's final resting place at Mount Peace Cemetery. From the North (Cleveland): Take 77 S to White Pond Dr.; Exit 132 toward Mull Ave.; turn left onto White Pond Dr.; turn right onto Mull Ave.; turn right onto W. Exchange St.; turn left onto Ardmore Ave.
From the South (Canton): Take 77 N to OH-8 N via Exit 125A toward Cuyahoga Falls; take OH-59 W exit toward Perkins St./M.L. King Jr. Blvd. & Fwy. ; stay straight to go onto Fountain St.; turn left onto Perkins St./OH-59; turn right onto W. Market St./OH-162/O-18; follow W. Market St./OH-18; turn left onto S. Portage Path; turn right onto Ardmore Ave.